The new Arizona Downs’ off-track-betting operation triggered a 25-percent surge in simulcast wagering in the greater Prescott market for August, the facility’s first full month in business, over the same time frame in 2017, according to the state’s racing commission. Arizona Downs brought back wagering on racetracks across the country to the site of the old Yavapai Downs on July 13. The track, which last ran in 2010, was purchased in January by J&J Equine Enterprises LLC, an entity formed by brothers and Phoenix-based JACOR Partners principals Tom, Dave and Mike Auther and their partner Joe Jackson, along with longtime racing executive Corey Johnsen. Renamed Arizona Downs, the track is undergoing extensive renovation and will open for live Thoroughbred and quarter-horse racing in 2019 with a meet running Memorial Day weekend through Labor Day. Arizona Downs also has received approval from regulatory authorities to open two more off-track-betting facilities in the state. The Route 66 icon Museum Club, an 80-year mainstay in Flagstaff, and Bull Shooters, the premier location for darts and billiards in Phoenix, are both scheduled to open in October. Arizona Downs’ simulcast room is on the first floor of the grandstand, featuring more than 40 television monitors, both mutuel clerks and self-bet machines and with easy access to food and beverage service. The facility is open seven days a week beginning at 9 a.m. MST. Admission and parking are free. 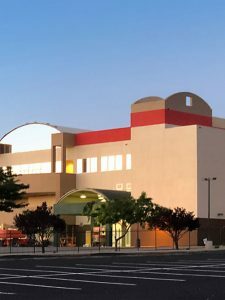 Albuquerque Downs registered a 24-percent increase in total wagering handle during the 11-day New Mexico State Fair portion of its 2018 Thoroughbred and Quarter Horse race meet. According to figures reported to Equibase, a total of $3,010,221 was wagered on The Downs’ 104 live races from September 6-16, compared to $2,427,891 bet on 103 live races during the 2017 State Fair meet. On-track handle rose 7 percent to $637,030, compared to $595,655 in 2017, and off-track handle increased 24 percent to $2,373,191, compared to $1,832,236 a year ago. Live racing resumed at Albuquerque Downs with a nine-race program on Wednesday 9/19. The track closes its 55-day season with a 10-race program on Sunday, September 23, featuring five stakes, topped by the 440-yard, $300,000 Albuquerque Fall Quarter Horse Championship (G1), and New Mexico’s longest horse race, the 1 13/16-mile, $25,000 Con Jackson Claiming Stakes. With 26 yearlings selling for $1 million plus in the Keeneland September Yearling Sale, 11 sires with three or more sold in Book 1 accounted for 465 yearlings or 47% of the number cataloged in Book 1. Is Horse Racing Dead? Apparently not if the Keeneland sales in Lexington KY are any indication. Check out the full Blood-Horse story below. All sources handle in 2018 rose 6.8 percent to $13.44 million per day as Del Mar completed a highly successful summer season – its 79th – on Labor Day Monday. The wagering increase follows a 5.1 percent gain in all-sources handle in 2017, which averaged $12.58 million. The strength of the 2018 summer racing program and the increase in field size helped drive a 10.8 percent increase in wagering by out-of-state patrons and a 14.1 percent increase in betting by California ADW customers. “Across the board, we’ve hit all our marks with a wonderful display of teamwork in a group effort,” said DMTC CEO Joe Harper. “Our owners, our trainers, our jockeys – everyone is pulling their oars in the same direction. It is amazing what positive things can happen when we all get on the same page to put on a first-rate show. The bar was set very high in 2017, but here we’ve gone and jumped far over it in a very gratifying summer. Field size, which averaged 8.7 runners per race, rose again over the seven-week season, just as it had the year before. Del Mar’s highly successful “Ship & Win” program drew 105 new runners to the track from out-of-state. Since its inception in 2011, the “S & W” plan has lured more than 1,200 runners to Del Mar. “The response from our horsemen and horsewomen to our program at Del Mar has been just terrific,” said executive vice president for racing Tom Robbins. “We have a wonderful partnership going right now and we’ll continue to work to make it even better. Foremost among the exceptional racing that unfolded over the course of the summer was a dominant win by Hronis Racing’s Accelerate in the $1-million TVG Pacific Classic. 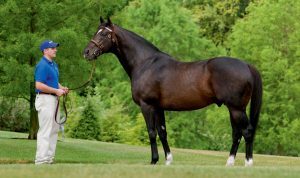 The Hronis outfit and their trainer, John Sadler, also cut loose one of America’s rising stars in Catalina Cruiser, who pulled off a stakes double with impressive tallies in the San Diego and Pat O’Brien. Then there were a series of 2-year-old stars led by the Bob Baffert-trained and Gary and Mary West-owned Game Winner, victorious in the Grade I Futurity. Bellafina, conditioned by Simon Callaghan and carrying the silks of Kaleem Shah, was the meeting’s top juvenile filly, winning the Grade I Debutante. Del Mar’s spectacular presentation of the Breeders’ Cup in 2017 earned it a return performance of the championship event in 2021, an announcement that was made at the track in August. The track will now take a short respite before returning for its fifth fall race meeting between November 9 and December 2. 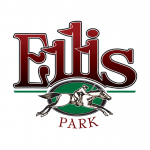 Ellis Park’s strong finish sets stage for 2019 meet. Kentucky Downs will offer a record $10 million in purses and Kentucky Thoroughbred Development Fund supplements at its five-date meet Sept. 1-13, with all 13 existing stakes getting increases and the creation of the $500,000 Kentucky Downs Juvenile Turf Sprint. The Kentucky Downs Juvenile and the Exacta Systems Juvenile Fillies were stretched in distance from seven furlongs to a mile. Those races are Sept. 1 and go from $350,000 to $400,000, including KTDF money. The all-turf course on the Tennessee line will stage two stakes worth $750,000, with its Grade 3 Calumet Farm Kentucky Turf Cup on Sept. 8 bumped from $600,000 and the Sept. 1Tourist Mile jumping from $400,000. 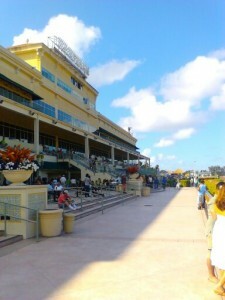 Both races offer $400,000 in base purses plus an additional $350,000 in KTDF money. The Kentucky Downs Turf Sprint and Kentucky Downs Ladies Turf, both Grade 3 races, were raised to $500,000, from $400,000 and $350,000 respectively. The Kentucky Downs Ladies Sprint, which earned Grade 3 status for 2018, now is $450,000, up $100,000. Maiden ($130,000 for Kentucky-bred horses) and allowance races ($140,000-$145,000 for Kentucky-breds) remain the highest in North America. The track also is offering four $100,000 races held under starter-allowance conditions on Sept. 9 to serve as preps for the Claiming Crown late in the year at Gulfstream Park. The races (two apiece for males and for fillies and mares at 6 1/2 furlongs and a mile and 70 yards) are for horses who have started for a claiming price of $25,000 or less since Jan. 1, 2017. The winners receive an automatic spot in the associated Claiming Crown event and up to $1,000 for shipping to Florida. Saturday, Sept. 1 — $750,000 Tourist Mile, 3yo & up, mile; $400,000 Exacta Systems Juvenile, 2yo fillies, mile; $400,000 Kentucky Downs Juvenile, 2yo, mile; $250,000 One Dreamer (non-winners of a stakes in 2018), fillies & mares 3yo & up, mile and 70 yards. Thursday, Sept. 6 — $250,000 Old Friends (non-winners of a stakes in 2018), 3yo & up, mile and 70 yards. Saturday, Sept. 8 — $750,000 Calumet Farm Kentucky Turf Cup (G3), 3yo & up, 1 1/2 miles; $500,000 Kentucky Downs Ladies Turf (G3), 3yo & up, 6 1/2 furlongs; $500,000 Kentucky Downs Turf Sprint (G3), 3yo &up, 6 1/2 furlongs; $500,000 Kentucky Downs Juvenile Turf Sprint; $450,000 Kentucky Downs Ladies Sprint (G3), fillies and mares 3yo & up, 6 1/2 furlongs. Sunday, Sept. 9 — $400,000 Exacta Systems Dueling Grounds Derby, 3yos, 1 5/16 miles; $300,000 Dueling Grounds Oaks, 3yo fillies, 1 5/16 miles. Thursday, Sept. 13 — $400,000 Ramsey Farm, fillies and mares 3yo &up, 1 5/16 miles; $300,000 Franklin-Simpson, 3yo, 6 1/2 furlongs. The recent Stars & Stripes Racing Festival, comprised of five graded stakes and highlighted by Catholic Boy’s thrilling victory over Analyze it in the Grade 1, $1.2 million Belmont Derby Invitational, generated all-sources handle of $24,612,465, the highest such handle figure since NYRA launched the Stars & Stripes Racing Festival in 2014. With a paid attendance of 16,763, Saturday’s on-track handle of $3,182,221 also established a new high for the festival. In addition to the Belmont Derby, Saturday’s blockbuster 11-race Stars & Stripes card included the Grade 1, $1 million Belmont Oaks Invitational for 3-year-old fillies, as well as the Grade 2, $700,000 Suburban, the Grade 2, $350,000 Belmont Sprint Championship and the Grade 3, $300,000 Dwyer. The Stronach Group and the Maryland Jockey Club announced that total handle on Saturday’s 143rd Preakness Stakes, won by Justify, was $93,655,128. The handle, as well as the crowd of 134,487, was the third-largest in Preakness history. Despite rain showers, a sloppy track and dense fog, an energetic crowd was treated to 14 races, world-class dining, and entertainment featuring Post Malone, 21 Savage and ODESZA. Despite a sloppy track and afternoon showers, a crowd of 48,265 attended Friday’s 14-race Black-Eyed Susan program at legendary Pimlico Race Course. The crowd was the second largest in the Black-Eyed Susan’s 94-year history, just shy of last year’s record of 50,339. The program was highlighted by seven stakes and Red Ruby’s victory in the $250,000 Xpressbet Black-Eyed Susan (G2). 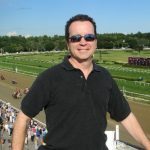 Total handle for the afternoon was $18.591 million, down six percent from last year ($19.895) on an afternoon when four races were taken off the turf on a program with 35 fewer starters. “We witnessed some impressive performances on the track from our equine and human athletes, and we received positive feedback on the upgraded facilities in the Preakness Village and Turfside Terrace and our dining rooms,” said Sal Sinatra, President and General Manager of the Maryland Jockey Club. 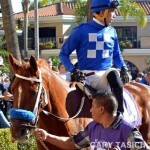 “Despite races being taken off the turf, handle was strong and the crowd enjoyed the afternoon.